Long gone are the days of writing a query letter and book proposal and wishing and hoping to publish with traditional publishing houses. After you write your book, there is no need at all to beg literary agents and publishing companies today. You can also forget about paying thousands of dollars to a vanity publisher. Self-publishing gives authors the freedom to publish at any time. But with this comes the responsibility of making sure that you write and produce a quality paperback or digital book. Yes, we all know that it is possible to self-publish for free, and many authors who have never published books before, take this route. Publishing books on Amazon Kindle Direct Publishing (KDP) is very easy. All it needs is a Word document file and a cover image and that’s it. That is why there are millions of ebooks available on Kindle, and Kindle Unlimited. But so many of these quick and dirty ebooks are of very poor quality. All but a few find a steady stream of loyal book buyers. How much does it cost? Let’s take a step by step look and try to answer the question. How much should I realistically budget to publish my book? How accurate is your English grammar? Are you familiar with using Photoshop? Can you typographically design a book interior and format an ebook? Do you have an established author platform? You can buy pre-made covers. The second choice is a custom designed cover. Interior typography and ebook formatting. Do you want to produce an audiobook version? Making your decisions and selecting your professional services. So how much will it cost you to publish your first book? Your budget will depend on a number of factors. But in a nutshell, it will depend on how much you can do yourself and how much professional help you are going to need to pay for. Start by making a short list of what you are confident you can do. On the other side of your list, add items you know you will need someone else to help you. Every author needs an editor or at least a competent proofreader. If you write very well and can self-edit your manuscript, it will save you a lot of money. You will still need some professional editing, but it will cost you a lot less. At the very least you should use a premium grammar and spell checker. Grammarly is the most popular solution for many writers. However, Prowritingaid is another choice that is very popular with authors because of the deep analysis and reports it offers to improve a long manuscript. Your cover design must be both high-resolution and of a very high commercial standard. It is very rare that an author has these skills, so a cover is almost always the first item in the expense column. Many authors can write well, but very, very few can design a great book cover. Remember that nothing sells your book better than a fabulous cover, especially for fiction books. Designing and formatting can be done in Microsoft Word, but it is not ideal. If you want your book to shine, you might want to consider a book designer or an ebook formatter to help you. You will have to promote your book aggressively. Do you have a popular blog? Do you add new blog posts regularly? Do you have large established social media accounts? Do you have a Facebook Page with a lot of Likes? Do you have a big email mailing list? Even if you have some of these, you should budget for some marketing and promotion. It will help boost your pre-launch and post-launch sales. Do you understand basic file management? Do you have the necessary skills to copy and convert files, upload and download files? Can you add URL links and create pdf files for sample chapters? Do you know about metadata, keywords and search terms? Are you confident with setting up and using online accounts? The more you can do on the techie side of things, or have friends and family that can help you, the more it will save money. The price estimates below are a guide only. You will certainly find professional services that are cheaper or more expensive. The cost of editing depends on the word count of your manuscript. There are also different types of editing services. Do you want development editing, which will assess your story? Or do you want copy editing? This will concentrate on accuracy and clarity in your manuscript. Estimate range for editing: For a manuscript of 40,000 words, between $400 – $700 for copy editing. For developmental editing expect between $750 – $1,000. Estimate range for proofreading: For a manuscript of 40,000 words, between $200 – $400. There are two choices for your cover. These are already designed and prepared by a book cover designer and are offered online. After you make your choice, the designer will add your title and author name. Pre-made covers are normally only suitable for ebooks. But some designers will modify a cover for print on demand for a fee. You can discuss your precise needs with a designer and they will design your cover to your exact requirements. Estimate range for a pre-made cover: Between $35.00 -$ 70.00. Expect to pay an additional $60 – $80 for a print on demand version. Estimate range for a custom designed cover: Between $400.00 – $800.00. These services vary greatly in both types of services offered and standard of the finished product. Estimate range for print book interior design and formatting: Between $300.00 – $850.00. Depending on your current author platform and social media footprint, you will need to decide on how much you want to invest in promotion. There are hundreds of paid promotion services so choose wisely. Look for affordable and long-term book promotion such as the one-year of book promotion offered by Whizbuzz Books. Estimate range for promotion. Prices and rates vary from as little as $10.00 to well over $500.00. With Amazon KDP, Smashwords and Draft2digital, there is no charge to publish an ebook. For a print on demand (POD) paperback, KDP is also free. However, you will need to pay for proof copies of print books, plus shipping costs. Estimate range for paperback: $15.00 – $30.00. Note: International shipping charges can be more expensive. If you are not confident in your computer and online skills, assisted self-publishing might be worth considering. But be careful. There are some sharks in this field. Discuss your needs and be certain to ask a lot of questions. You will need someone who can set up your accounts and use your manuscript and cover to publish your book. Once your accounts are set up, and your book is published, you should change the password on your accounts. Estimate range for assisted self-publishing. Between $150.00 – $250.00. There is an expensive way, and a very economical way to produce an audiobook. If you choose to hire a narrator and then a producer, the costs can be daunting. The best way is to use Amazon’s Audiobook Creation Exchange (ACX). Or you can find a publisher who is willing to publish your audiobook. Some publishers offer a 50/50 split on royalties and free production. This is not a bad deal for new authors. How much does it cost to publish a book? Every book is different, but it can range from next to nothing up to a few thousand dollars. Today’s indie published authors are getting smarter and smarter. They have been through the long learning curve of how to write, self-publish and promote a book. They understand that an investment in skills can save them a lot of money. I know some who have spent a lot of time learning how to design covers and how to use Photoshop proficiently. Other authors have honed their grammar, lexical skills and language knowledge to help them produce much cleaner manuscripts. For a new indie author, rushing to publish can be very costly. Taking the time to learn new skills can save a lot in the long run. It’s always worth remembering that a book is for the long term. Your book will be on sale for years and years to come. It will have the potential to earn you an income for years and years too. Don’t jeopardise this by doing everything on the cheap or cutting corners. Make good decisions about what you can do, can learn to do and what you really must pay for. Every copy of your book will be judged and assessed by readers, so make sure it’s a winner. For the majority of authors, an investment in a professional editor and a cover designer will be the first two priorities. This doesn’t necessarily mean expensive. The options of copy editing only and a pre-made book cover can be quite economical. As for book marketing and promotion, don’t get carried away. An investment of two to three hundred dollars can go a long way. There is no short answer to how much will a book cost to publish. It will depend on so many factors such as the word count, your skills and what versions you want to publish. Take your time in deciding what you will need to pay for and what you can do yourself. Also, think about friends who can help you. When it comes time to contact service providers, be very selective and ask lots of question before making a final decision. Prices and charges can vary greatly, so make sure you know exactly what you want, and compare the offers you receive. It is not only a matter of cheap or expensive. It’s about getting good value for your money. Publishing a book is easy today, but make sure you focus on producing a quality book that readers will appreciate. The infographic below gives a rule of thumb indication of what you would expect to pay to publish your first book. 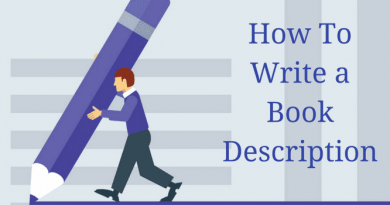 The information in the order and priority is very helpful.The prices for editing seem to be a little low based on the proposals I have gotten for book manuscript in the 40,000 word range.But the article offers a good guideline for new authors for sure. (1) Self-publishing is called vanity publishing for a reason. Think about it. (3) Do you really want to be hocking your book out of your trunk for years? (4) If you want to update your book or catch a few typos, it will cost you bigtime. Print-on-demand makes a lot more sense today. (5 ) Cost. Publish your book first as an ebook and see if there is any demand for it. (6) Some of the vanity presses will haunt you forever to publish or republish something with them. They are hard to get rid of. (7) Bottomline: It’s just old school. TO THE PUBLISHER: it would be helpful to have the posts dated.